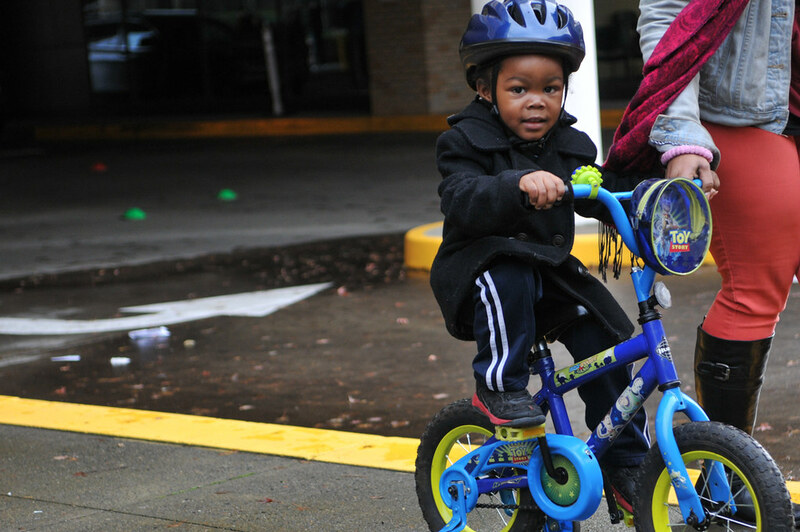 On Sunday, 300 children rode home with new bicycles, helmets, and the newfound knowledge on how to ride safely in their neighborhoods at the 20th annual Holiday Bike Drive. 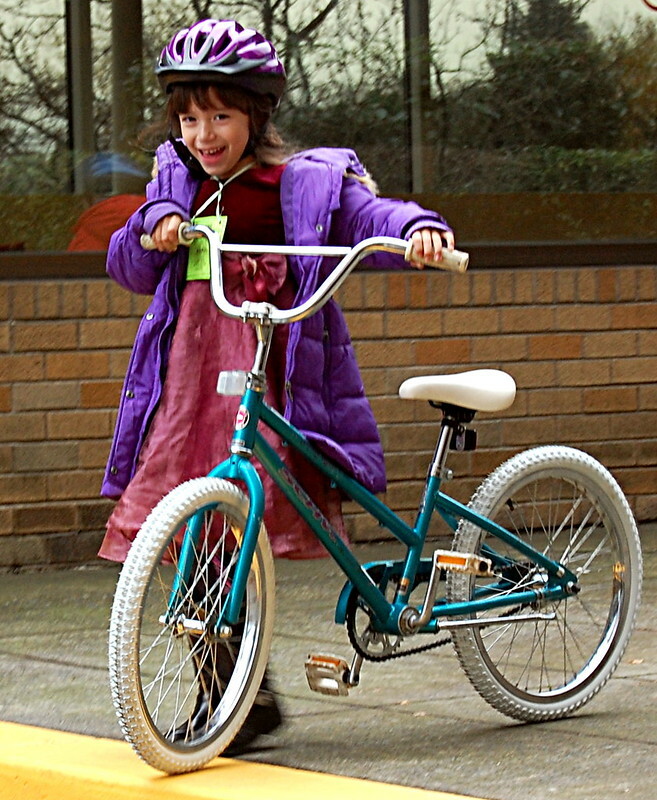 This event has come a long way since its inception in 1995 when our founder, Brian Lacy, used to gather volunteers, load up his pickup truck full of bikes, and deliver them to neighborhood kids. 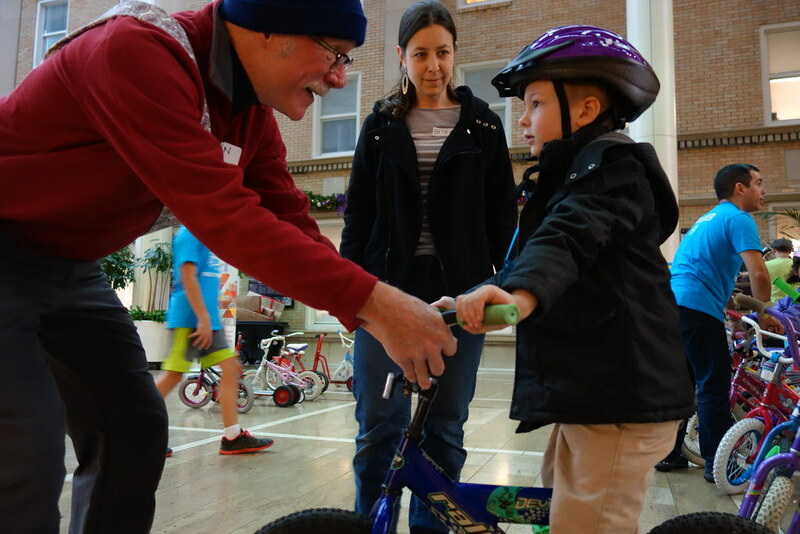 Over the years, the event expanded to include a bike safety educational component for children and their families, and grew in size to fill the atrium of Legacy Emanuel Medical Center. 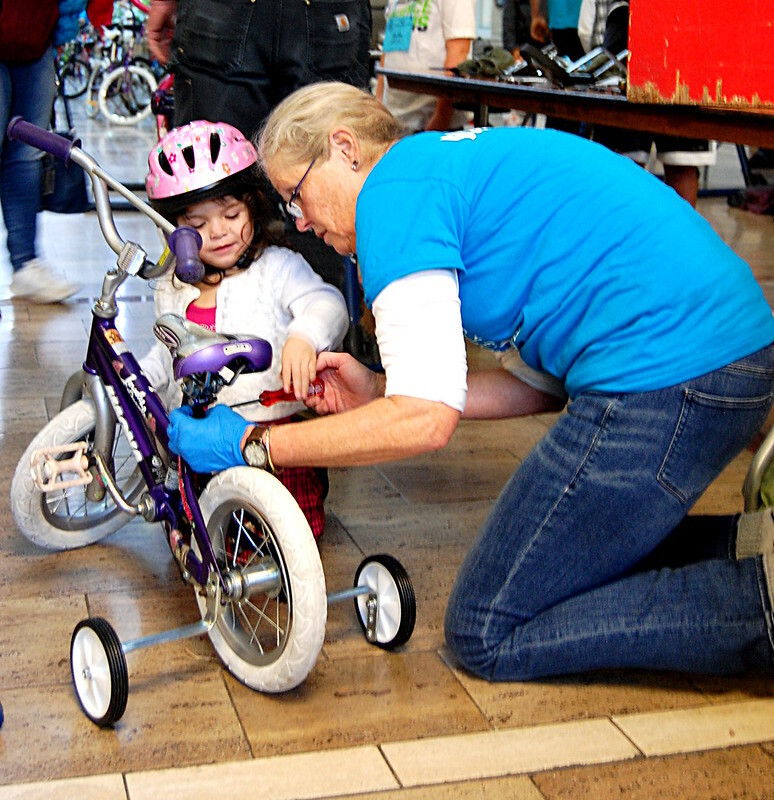 But the Holiday Bike Drive is about so much more than just bicycles. 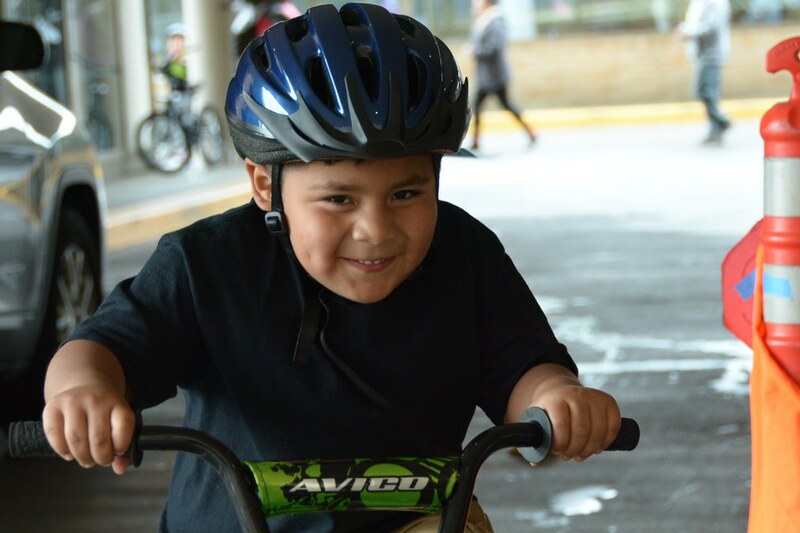 The goal for the Holiday Bike Drive is to make sure more children have access to the freedom, joy, and health benefits that bicycles can bring. On Sunday, over 260 volunteers helped make this dream a reality. 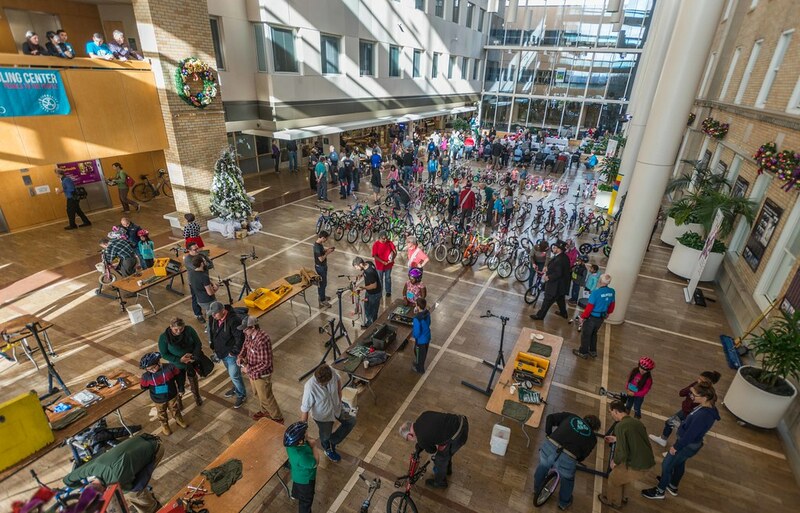 Thank you to Lam Research Foundation, Trauma Nurses Talk Tough, Legacy Emanuel Medical Center, Metro Regional Travel Options, and Northwest Health Foundation for generously sponsoring the Holiday Bike Drive. Thank you to our amazing food sponsors who kept our volunteers fueled and ready: Russell Street Barbeque, New Seasons Market, Nossa Familia Coffee, Kenny & Zukes, Salt & Straw, Sunset Bagels, Great Harvest Bread, St Honore Bakery, Dave’s Killer Bread, and Asean/Stalkmarket. Special thanks to our volunteers who lovingly refurbished the bikes over the course of the year and volunteered their time on the day of the event. 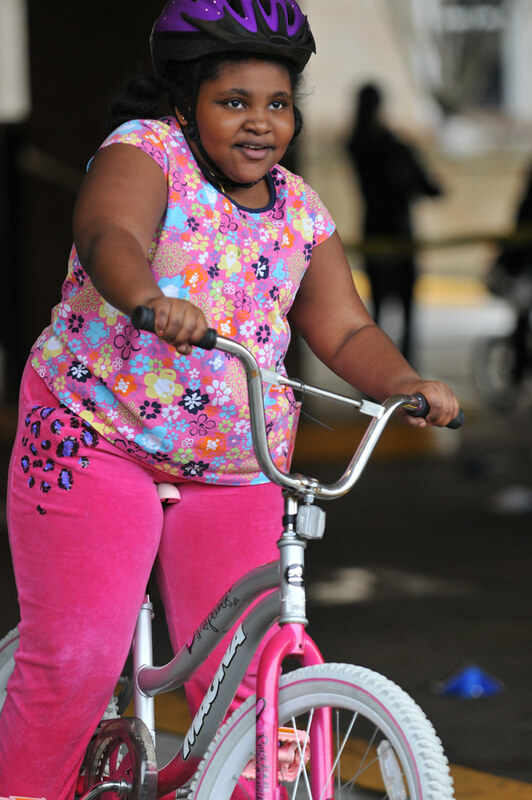 And thank you to everyone who has sponsored a child’s first bike. We simply could not do this without your support and we are incredibly thankful. If you would like to make a donation to support our work or learn more about year-round volunteer opportunities, please check out the following links:. 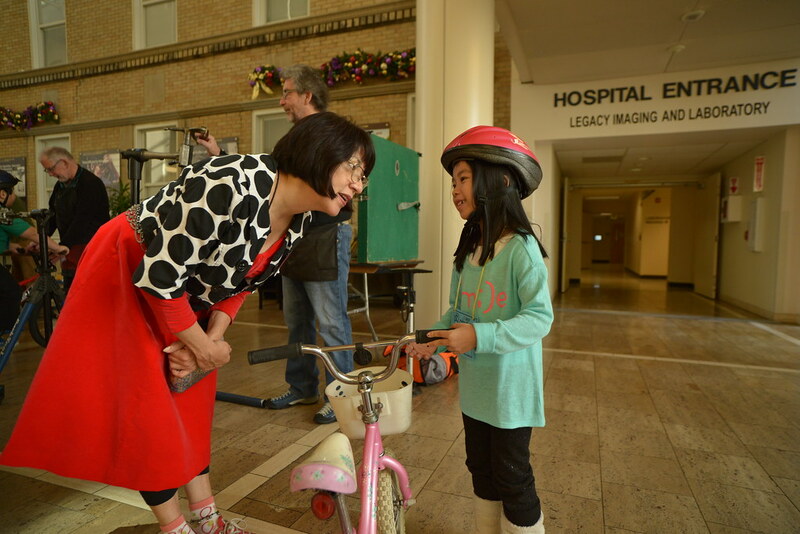 View our full Holiday Bike Drive photo album here. Photos by our talented volunteer photographers: Brit Forbes, Charles Edelson, Greg Raisman, Kirk Rea, Jonathan Maus, and Mario Segura.